Happy International Women's Day! I am so inspired everyday by the women around me and on the internet. I love the can-do attitude, and it gives me hope in my endeavors. This week's pins are of some stylin' ladies to give you some fashion inspiration for the week ahead. To find more inspiration, check out my stylin' board on Pinterest. 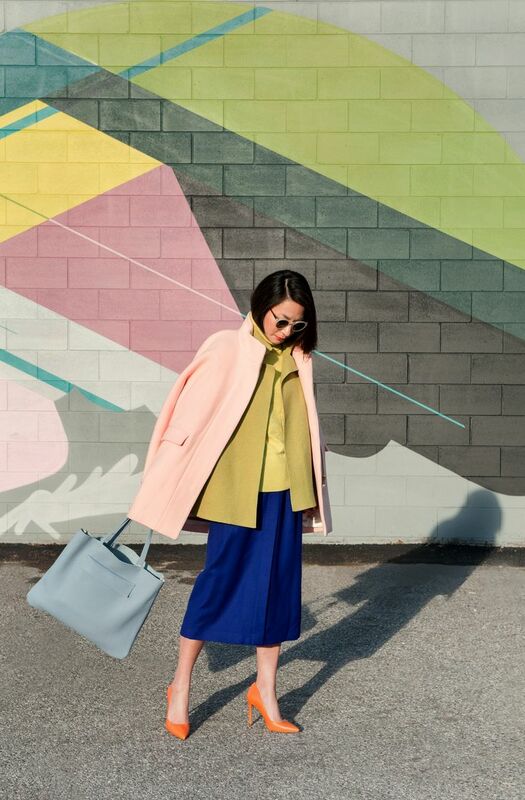 Looking at these ladies, it makes we want to do more color blocking and wear more pumps. I have some pumps, but I'm just so bad at wearing them and I feel too fancy sometimes. I'll have to give them another try. Anyways, hope everyone had a great weekend. Have a stylish week! XOXO.